Grant Robison is a retired track athlete who competed in the 2004 Summer Olympics in Athens. He was eliminated in the 1500-meter semifinal. He won a bronze medal in the 1500-meters at the Pan American Games in 2003. Robison was born on September 27, 1978, in Englewood, Colorado. He ran the 1500 and 3000 meters in high school and was the school record holder for those events. He went on to run for Stanford University. 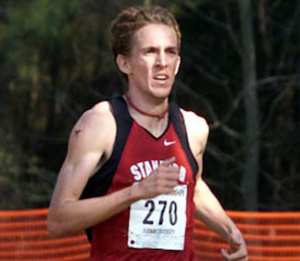 He won the 1500-meter event at the 2003 NCAA Outdoor Track Championships. He earned his bachelor’s degree in African and African American studies. He is a member of The Church of Jesus Christ of Latter-day Saints. He served a full-time mission to South Africa. This page was last edited on 29 March 2017, at 22:18.